When an app called “thisisyourdigitallife” became available in 2013, 270,000 Facebook users were paid a nominal fee to fill out a personality quiz. That quiz opened the door for London-based Cambridge Analytics to troll the friends and acquaintances of the Facebook members who downloaded the app. All told, over 50 million Facebook accounts were breached in the United States. Wylie worked with Cambridge University’s Aleksandr Kogan and Kogan’s own company, Global Scientific Research, which created the app and then used it to hack into family, friends and acquaintances of those 270,000 test-takers. Hedge fund billionaire Robert Mercer owns the company, and in had Steve Bannon, Breitbart’s founder, as an advisor on data collection efforts. When Bannon went on to become one of Trump’s key advisors in the early stages of his presidency, Bannon brought Cambridge Analytica’s resources with him. Wylie claimed in interviews with media outlets in England that Facebook data collection became the cornerstone of the Cambridge Analytica’s mission. 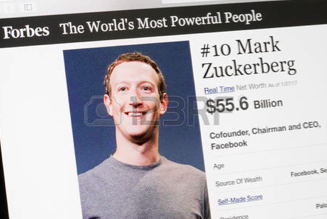 Since the public has been made aware of the breach, Facebook’s stock has taken a nosedive, and lawsuits are flying left and right against the company, with founder Mark Zuckerman issuing a public apology and agreeing to testify before the U.S. Congress. Facebook already faces numerous lawsuits for the data breach, purported to have played a “significant” role in the 2018 U.S. Since everything on the internet is in the public domain, when it comes to using social media, it’s a precautionary tale.